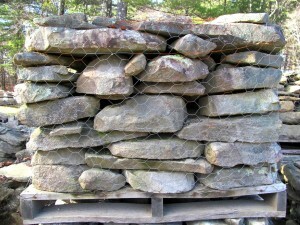 Stone used for the traditional New England “Colonial” style walls. 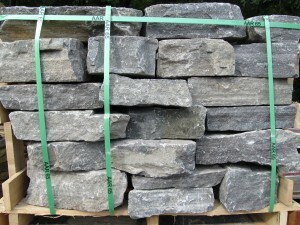 Goshen stone is named after Goshen, Massachusetts where it’s quarried. 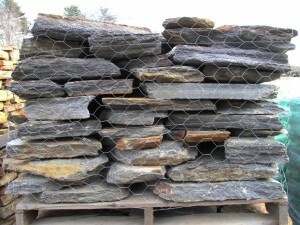 This stone is dark gray with a lot of mica and some rust-colored streaks. 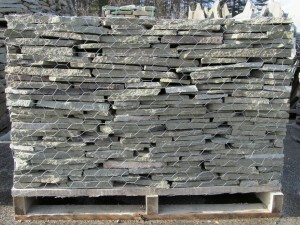 This wall stone comes in a variety of thicknesses and two colors – a blueish gray and a lilac color. The pieces are mostly flat, which makes easy to stack. 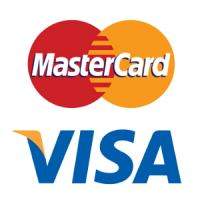 Beautiful dark granite with a bluish tint and a little bit of brown. 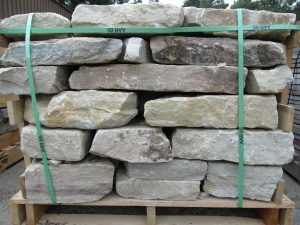 Light-colored stone in shades of sandy-beige, ivory, and light gray. 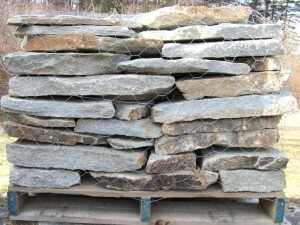 Tan and gray with lots of mica, this stone comes on a smaller pallet than our other natural wall stones. 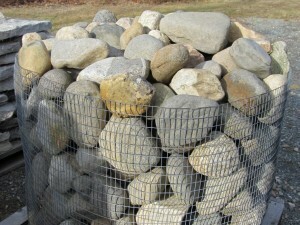 Pallet of rounded river stones, mostly 6″-8″ in diameter are great to use for a pond or a dry creek bed.